The weather will determine if the in-form Inn Keeper (right) takes his place at Flemington. Trainer Symon Wilde will have a close look at the weather forecast before deciding if Inn Keeper runs in the All Victorian Sprint Series Final or waits for the Sir John Monash Stakes. Inn Keeper has won seven of his nine starts and is unbeaten in four races this campaign, the most recent the $100,000 Golden Topaz at Swan Hill last month on a heavy track. He is among 13 nominations for Saturday’s Listed All Victorian Sprint Series Final (1200m) at Flemington with acceptances to be taken on Wednesday morning. 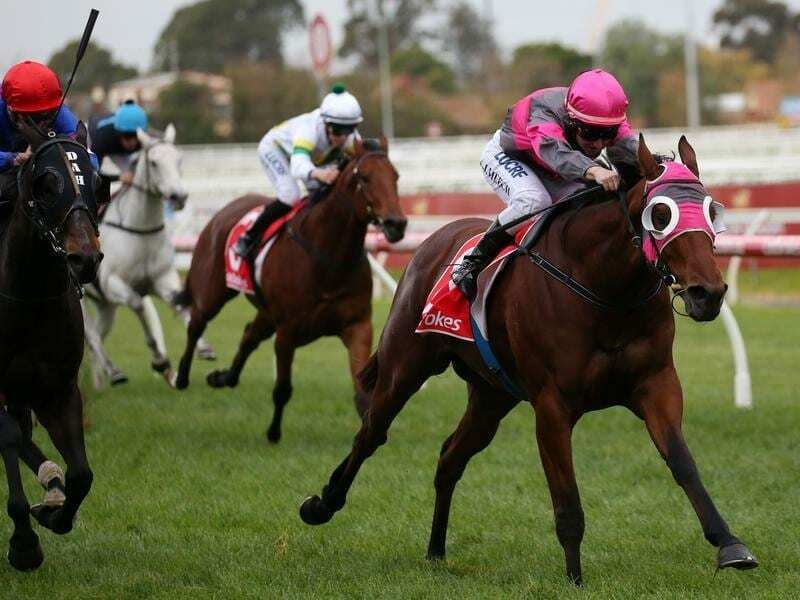 Saturday’s race and the Group Three Sir John Monash (1100m) at Caulfield a week later are the options for Inn Keeper’s next start but Wilde said the four-year-old seemed to prefer soft ground and he is worried Flemington will not have enough give in the surface. “It looks like it’s probably going to be the normal good (4) so we’re probably leaning towards going to the Caulfield race,” Wilde said. “He probably comes into the Final a bit better under the handicap conditions than the Monash which is weight-for-age, but I think the track conditions might suit him better and he’s won at Caulfield before and I think he likes racing around a bend. “We’ll probably have a really close look at the weather tonight and see what it’s doing and then we’ll probably make a final decision around acceptance time. Inn Keeper has never been tried on the straight course at Flemington. He won a benchmark-84 over the Caulfield 1100m two starts ago in May on a soft track.